One of my favourite desserts is rice pudding. I’ve heard that it’s really easy to make yet I always buy it pre-made at the grocery store. 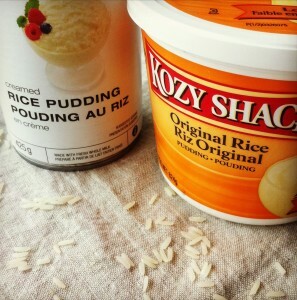 I’ve been hooked on Kozy Shak rice pudding for years. It’s so convenient and I find it really tasty. 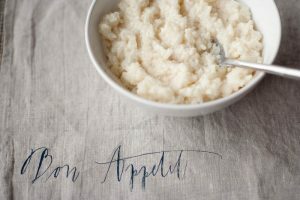 Is rice pudding that easy to make and am I better off making it from scratch? Or should I just keep buying it from the grocery store? 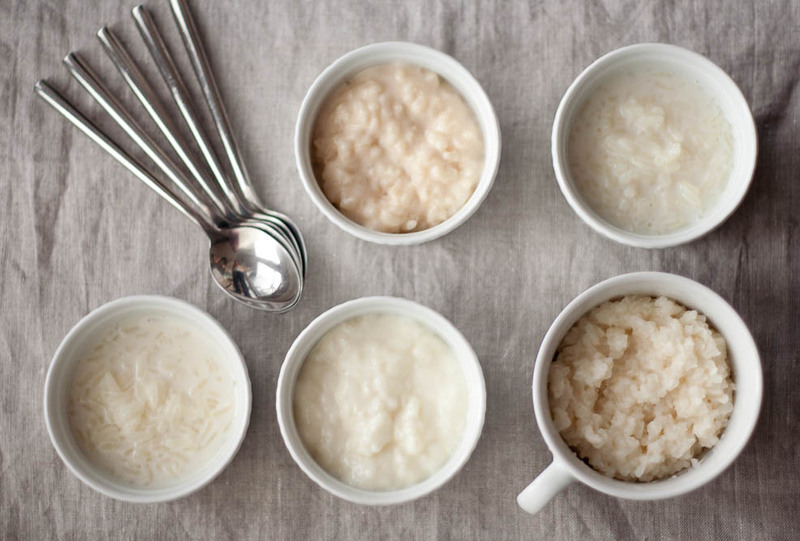 Prior to this taste test, my fellow food blogger (the sassy cook) and I conducted another experiment that involved trying six different types of rice to see which one would make the best rice pudding. From that experiment, we decided that we liked jasmine rice the most which is the type of rice we are using for this experiment. Today we will be trying 5 different types of rice pudding. Three made from scratch and two that are store bought. Taste testers: Please try each type of rice pudding and comment on taste and texture. Which one do you like most? Is it worth making your own rice pudding from scratch? I think that the low fat version will come close in taste and flavour to the regular homemade one. I think the canned will have a processed or metallic taste due to the fact that it’s packaged in a can. I think that Kozy Shak will taste pretty close to homemade but I think the gourmet rice pudding will taste delicious and will be a good reason for making rice pudding from scratch in that you can play with different flavours. The regular homemade rice pudding had the most flavour and you could really taste the flavour of the sugar and vanilla. The rice also had a good texture as it was soft but not mushy. The low fat rice pudding tasted bland compared to the homemade rice pudding. I reduced the amount of sugar by a third as I found the original recipe to be quite sweet and I could really taste the difference. I think the combination of using skim milk instead of whole milk and reducing the amount of sugar really compromised the overall taste. The fat in the whole milk definitely helps to carry the flavours of the sugar and vanilla. I could really taste the coconut in the gourmet rice pudding. I couldn’t taste the elderflower however. This one was also tasty but some of the rice was still a little hard making me think that it was underdone. However, the flavour was definitely there. I can see it being served at a Thai or Malaysian restaurant. This was a good example of how you could experiment with a simple recipe and add different flavours to make you own variation. The Kozy Shak and canned rice puddings tasted bland, goopy and artificial in comparison. This was so upsetting for me to discover as I have always relied on Kozy Shak in the past as a quick and easy treat! After this experiment there is no way that I can every go back to Kozy Shak. I’m going to have to start making my own rice pudding from now on. But the good news is that it’s cheap and easy to make. A: Good flavour. Good mouthfeel. Flavours really carry in this one. I can really taste the sweetness and the vanilla. B: This one tastes bland compared to A. The flavours don’t carry as well and I can’t taste the sweetness and vanilla as much. It tastes bland! The texture is still nice though. C: Tastes artificial. Texture is goopy. The flvaour is bland but it also tastes a little off. I don’t like this one at all. D: This one tastes bland and also has a distinct aftertaste. It tastes a little like evapourated milk. E: I can definitely taste the coconut flavour in this one. It tastes rich and like candy! This is a nice take on rice pudding. A- the rice grain stayed intact, which I like. Sweet and vanilla flavours are prominent. This is my favourite! B- more bland than A, thicker. Rice pieces seem broken and vanilla taste isn’t coming through. C- Stale or sour aftertaste, goopy. Definitely not my favourite. 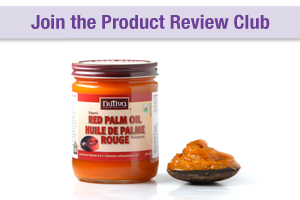 D- Flavour isn’t distinct, it’s goopy and thick. E- Rice seems a bit al dente, which isn’t my fav texture. Slight aftertaste of honey. Rice pieces aren’t whole. This was my first time trying rice pudding and I was surprised with the results. A–was my definite favorite rice pudding! The rice was firm and retained its texture. It wasn’t too sweet and I could keep eating it till comfortably full. 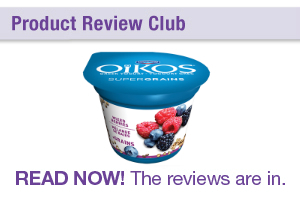 B–not as sweet or creamy as rice pudding A. The rice wasn’t as firm, it was too soft for my liking. C–too thick and heavy, the rice was too soft. It was too goopy and didn’t look unappetizing. D–yucky. The rice falls apart in my mouth and the pudding isn’t aromatic. D–The rice was too firm and not cooked through. However, the coconut milk is lovely, aromatic and not too sweet. Thanks for the taste testing! A: Rice is soft yet firm… more rice per bite than C and D. Sweeter than B. Definitely one of the homemade ones. B: Similar to A, so it’s definitely the other homemade one. Not much flavour though, and less sweet than A. Maybe this one is lower fat re: less fat and less sugar. C: Custardy, looks similar to cottage cheese. Less rice per bite vs. A and B. Rice is soft but broken, this one was OK too. I’m sure this one is Kozyshack. D: Artificial in both taste and colour! PC canned. Bleh, no thanks. E: Hint of coconut, but I found it too dry and some of the rice was hard. This one was refrigerated overnight. I’m sure it tasted much different (and had a better consistency) when it was freshly made. The rice is pretty delicate so it probably won’t look very good after thawing. It doesn’t take very long to make so I’d rather spend the time making a fresh batch instead of defrosting and reheating it. However, I’ve never frozen rice pudding before so it’s hard to say for sure. Feel free to try it and let me know if it works!